Freshly painted unit. This is a clean 1 bedroom 1 bath apartment in a Triplex. Rent includes water, sewer, and trash pickup. The Unit is tiled throughout & has a walk in closet and additional closet in the Master bedroom. 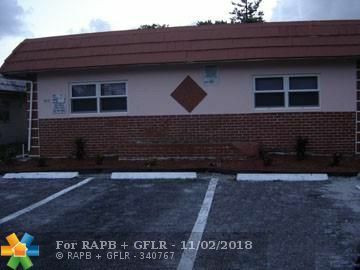 The unit is in a friendly neighborhood within walking distance to all amenities, and one block from South Dixie Hwy. There is an attached Utility room with washer and dryer in the building.